This exam will give TrainingPeaks valuable information about you as a coach and the athletes you work best with. There is also a short education module that will define some of the advanced metrics of the TrainingPeaks software followed by a short exam. Even if you are not currently using these basic and advanced metrics to coach your athletes we feel that it is important that you have an understanding in the event you decide to start leveraging them down the road. Proof of your liablity insurance. The TrainingPeaks Level 1 Certification course is NONREFUNDABLE. Please make sure you meet all of the requirements for the Level 1 certification before paying for the course. You can check the requirements by clicking here. 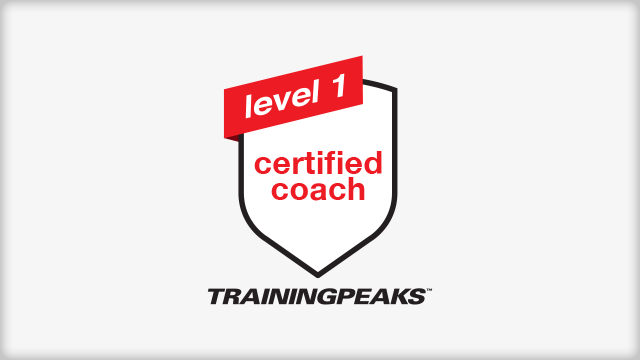 **Please note, the TrainingPeaks Level 1 certification is good for one calendar year and must be renewed at the beginning of each year.